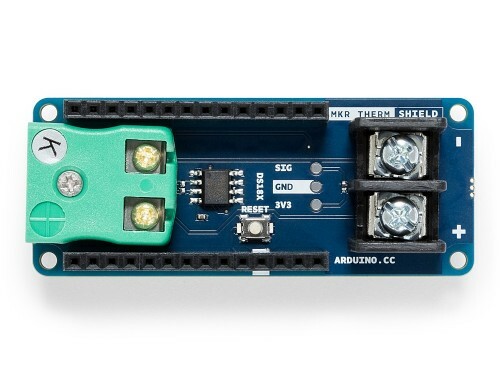 The MKR THERM Shield allows a board of the MKR family to acquire temperatures from a thermocouple of type K and a DS18Bxx digital one wire sensor. 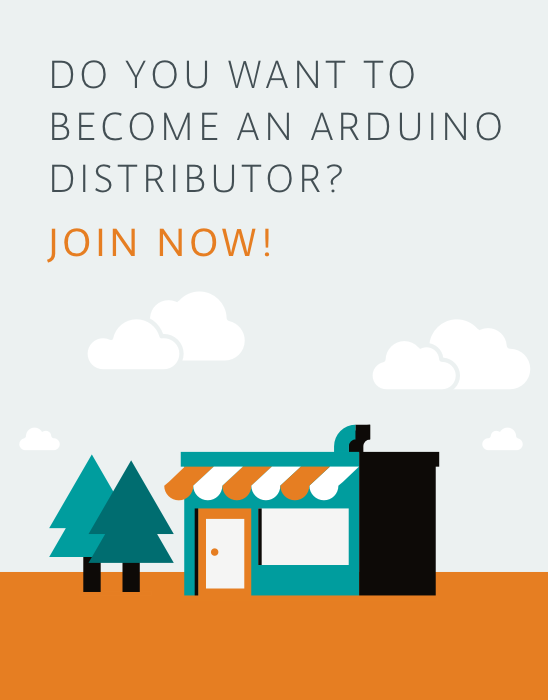 The Thermocouple is a kind of temperature sensor that offers high accuracy and a wide range of measured temperatures. 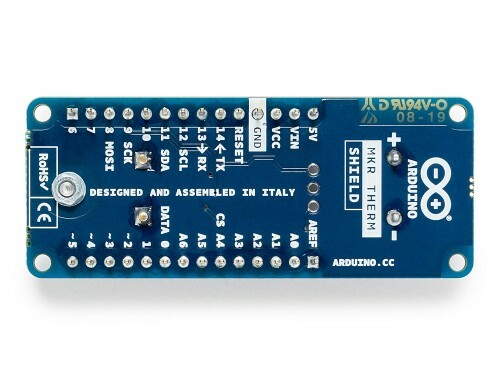 Its analog nature requires specific interfacing and this shield relies on the MAX31855 thermocouple digital interface. 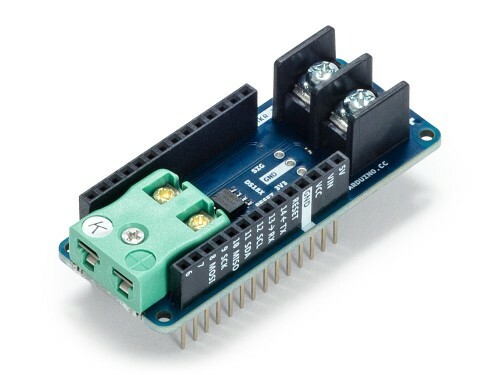 The two connectors of the MKR THERM Shield allow the usage of Type K thermocouples with or without a plug attached to the metal wires. 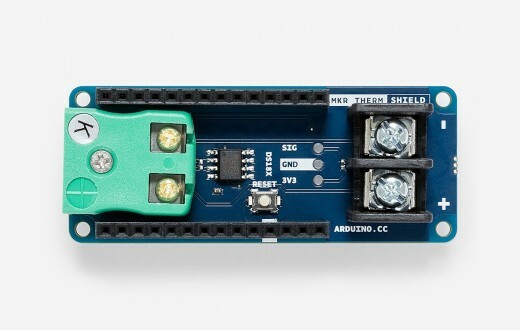 The MKR THERM Shield has its own library to read the temperature measured by the thermocouple. 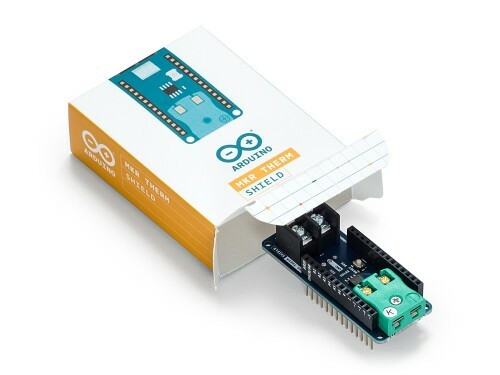 You may find further details and a usage example in our Getting Started page.